Design and inspection standards:GEST89/140, GEST06/318, GB/T12235, JB/T9092. 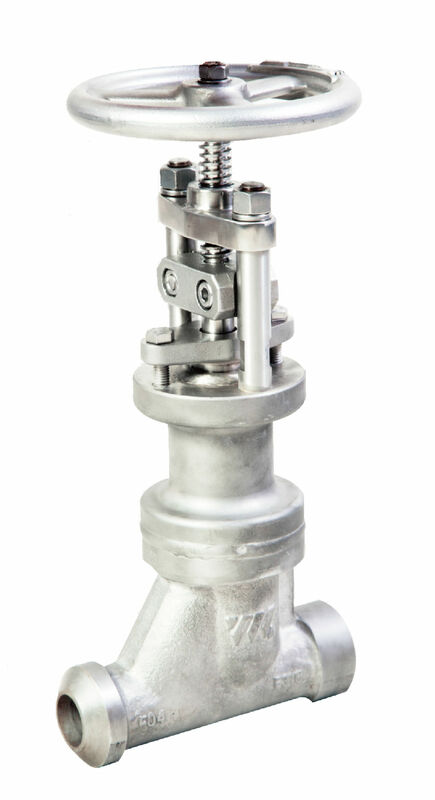 Chlorine Globe Valve with Bellows isdesigned to use in hazardous working environments. Such as medium that arecorrosive, flammable, toxic, volatile, radioactive or precious fluid medium. HCl, HF, COCl2,VCM, EDC, MDI, TDI, HDI, and other fluid of similar characteristics. a. The corrugated pipe is hidden in thevalve cover to prevent medium erosion. b. The multilayer hydraulic formedcorrugated pipe. c. Service life over 10000 times uses(fully opening to fulling closing). c. The gland filler depth is more than 2times the stroke, which effectively prevents the contact of chlorine and water. a. The valve body and the valve cover arewholly forged or casted, the wall thickness exceeds higherthe standardrequirements. b. No welding at the pressure bearingportion points. c. The flange gasket position is completelyfixed, preventing damage to the sealing surface bypushing out of the gasket. a. The cone shape seal, low torque. b. Solid carbide integral hard facing,offering excellent corrosive resistant feature and low cost maintenance. c. The blade shape of the seat , can removechlorine stain.